Picking bin shelving supplied with 60 plastic storage containers providing a practical way to store small parts in a wide variety of workplace environments. 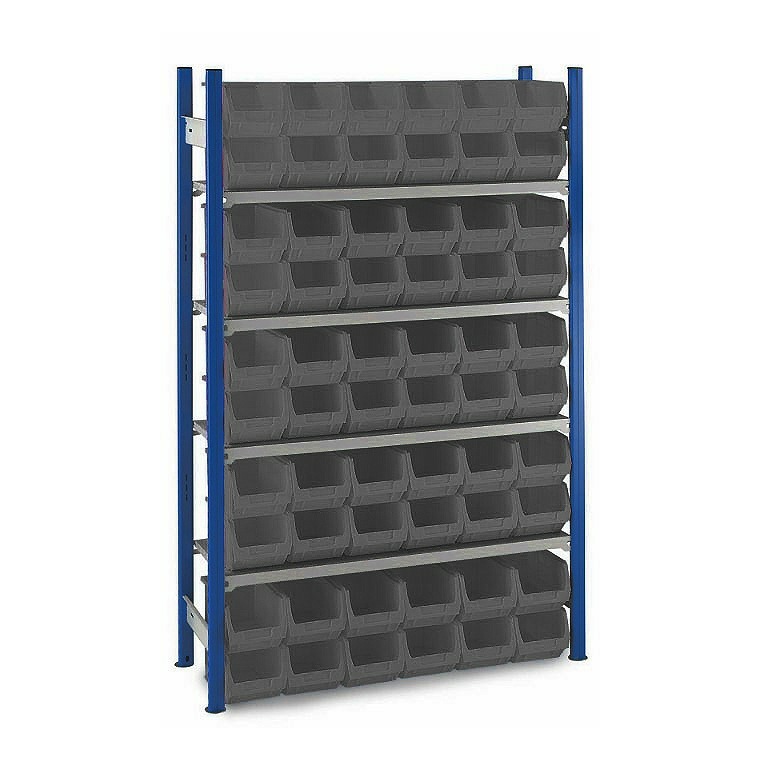 Made from commercial grade, sturdy Trimline shelving components, complete with 4 shelves, the bottom layer of bins should be stood directly on the floor to enable all 60 bins to be utilised. Buy add-on bays to go with a starter bay to create long runs of connected shelving (using add-on bays can provide substantial cost savings).